With over 15 years experience ADCO Plumbing have been servicing all areas of Brisbane specialising in Hot water system installations, Blocked drains, Tight access Excavator work & General plumbing maintenance. We offer 24/7 service for all those embarrassing plumbing emergencies, no matter how big or small – we do it. We need a plumber ASAP – no drama! Call us now on 07 3396 6344 or 0412 290 762. 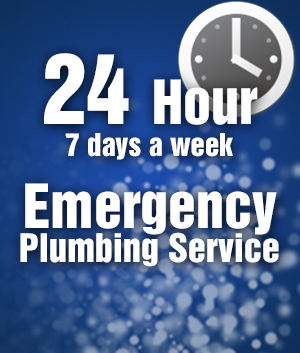 ADCO Plumbing offers 24 hours service 7 days a week all year round. We understand that plumbing emergencies don’t only happen during business hours! Worst thing to do is try and fix it yourself, you may make the problem worst. Call us now, we’ll be there asap and will come up with the perfect solution or even better – fix it on the spot in no time. ADCO Plumbing have a 4.5 Excavator Machine, Drain Cleaning Machine and a Camera for Hire. Our standard business hours are between 6am – 6pm Monday to Friday, between these hours we offer our standard labour charges. If you have any questions or would like a specific quote, please call us on 07 3396 6344. $132 call out and upto first hour and then a standard rate of $88 p/hour there after. Call out and first hour $220 inclusive GST and then a flat rate of $110p/hour there after. We also have a tailor made charges for after hour charges; Monday to Saturday 6pm to 6am we will charge a call out fee of $165 inclusive of GST and thereafter a flat rate of $110 per hour. During public holidays and on Sundays, our after hours charges are; call out and the first one hour a fee of $330 which include GST and a flat rate of $165 per hour there after. It should be noted that the price or charges are not out our core business but a way to you helping us attend to other customers while we provide and deliver the best service. We at ADCO Plumbing pride ourselves with reliability, prompt service and always get it done the first time. If you would like a quote or would like to book ADCO Plumbing please fill our contact form or call and speak to our friendly staff on 07 3396 6344 or 0412 290 762.